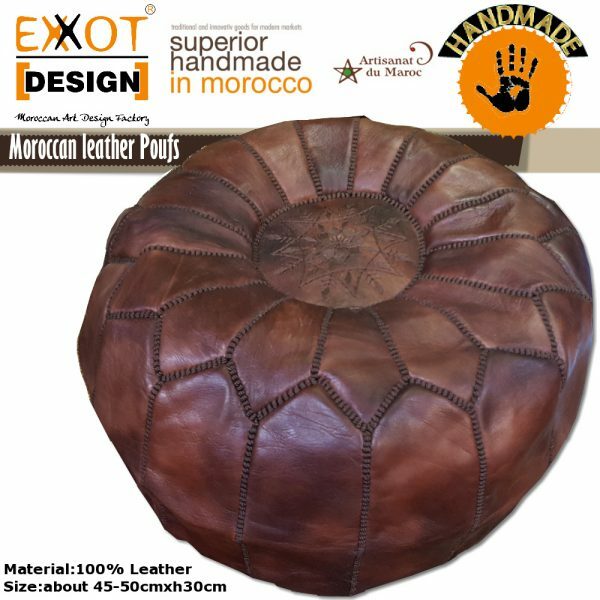 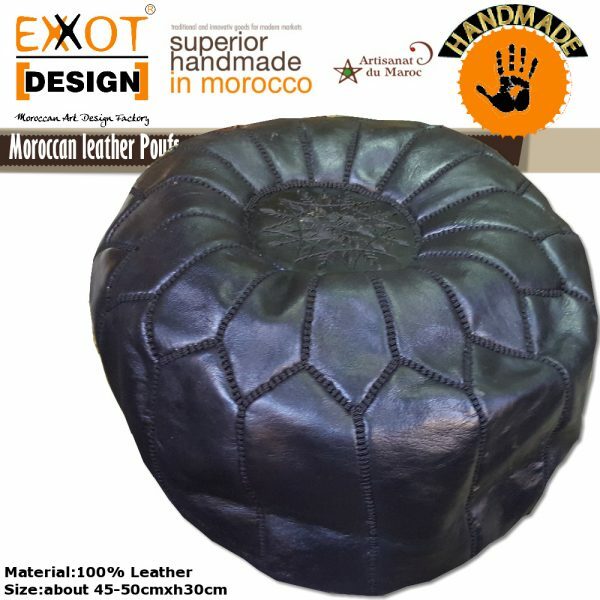 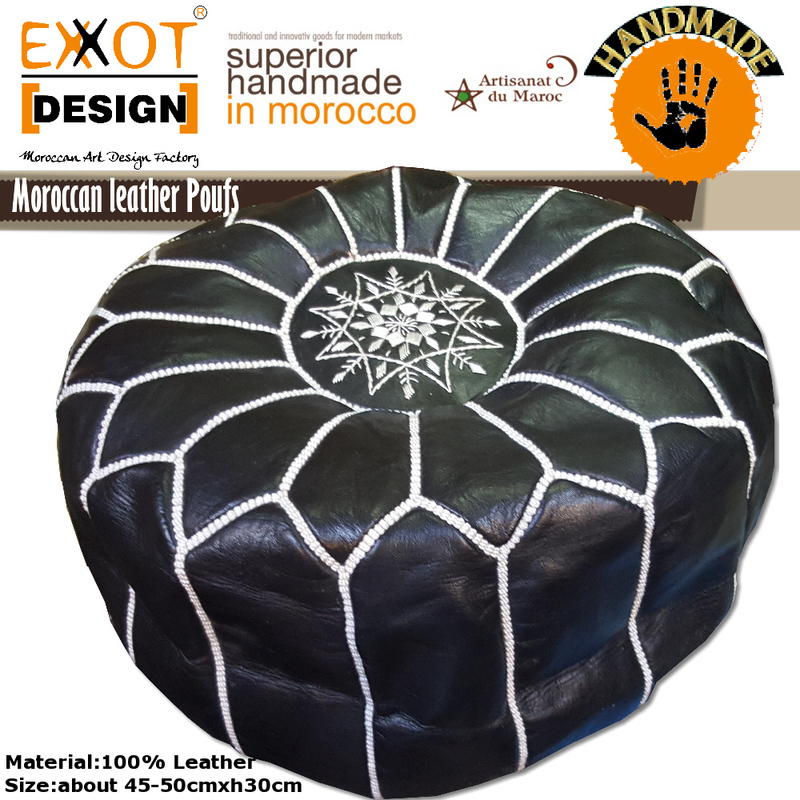 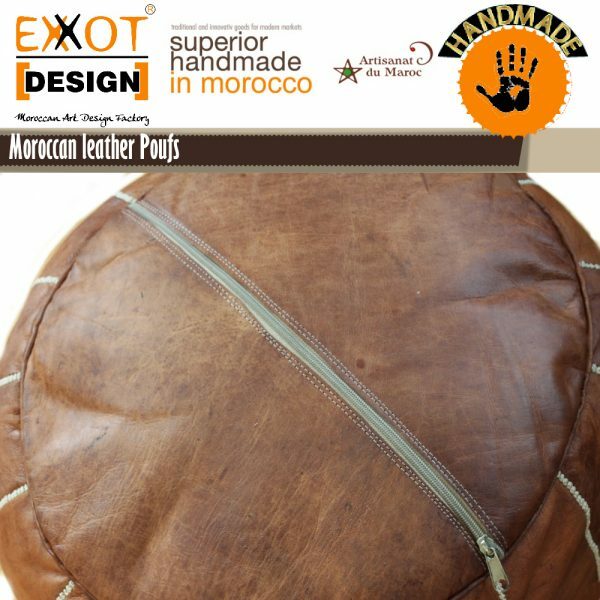 Our Moroccan handmade Leather Poufs Ottoman has been carefully crafted by our craftsman who has passed its creation process down through the generations. Poufs are so great for propping up your feet, resting your book, as a seat for your kids, or simply as a decorative accent. 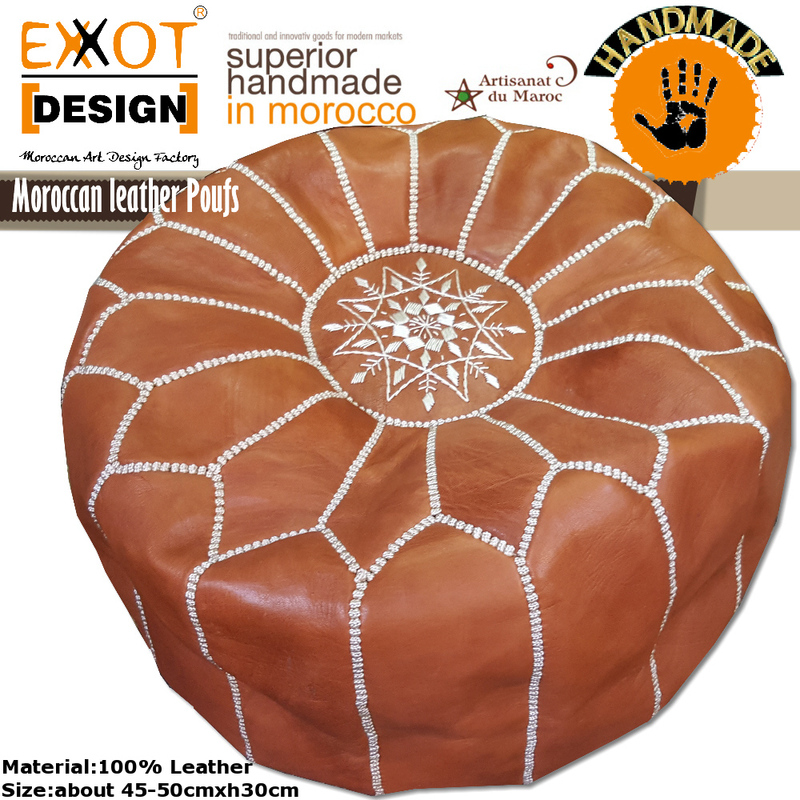 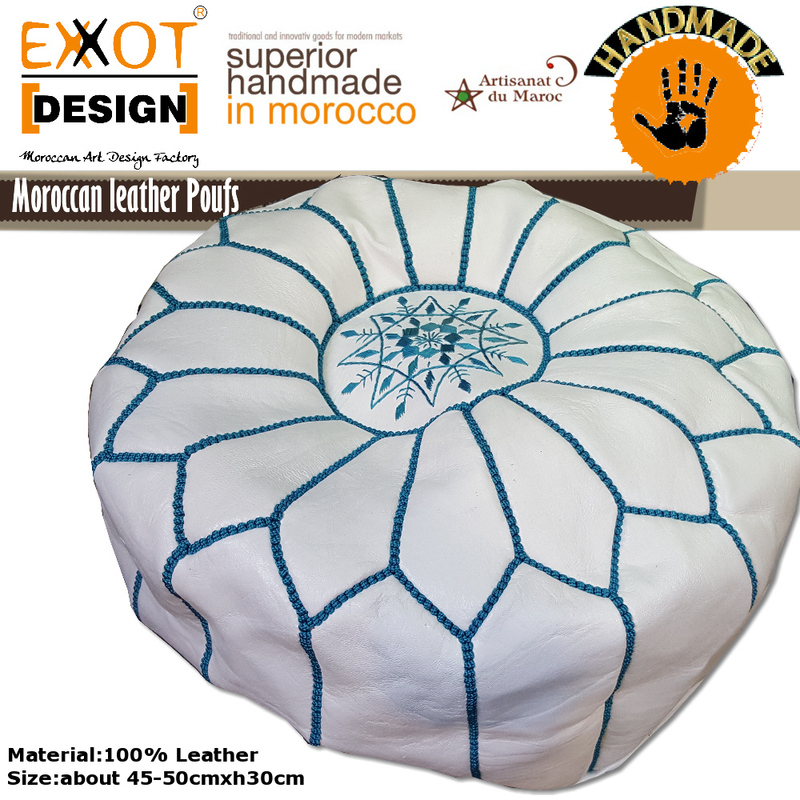 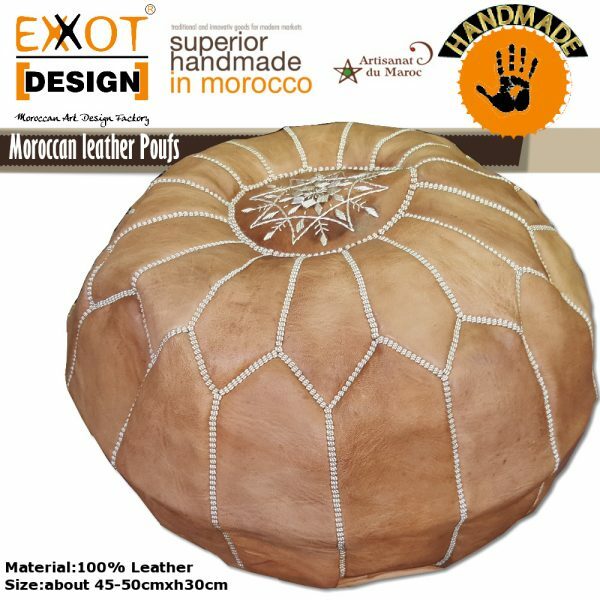 A beautiful hand stitched Moroccan leather Poufs with an intricate embroidered design. 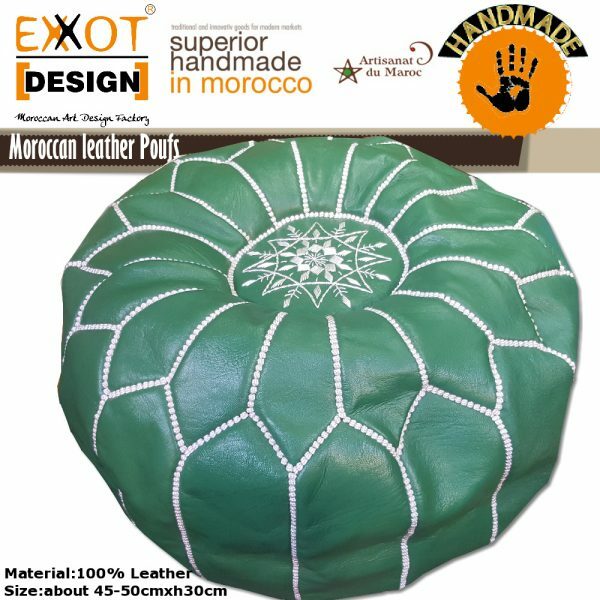 The finest quality leather is used for our poufs which are dyed by hand in a wonderful selection of jewel like colours. 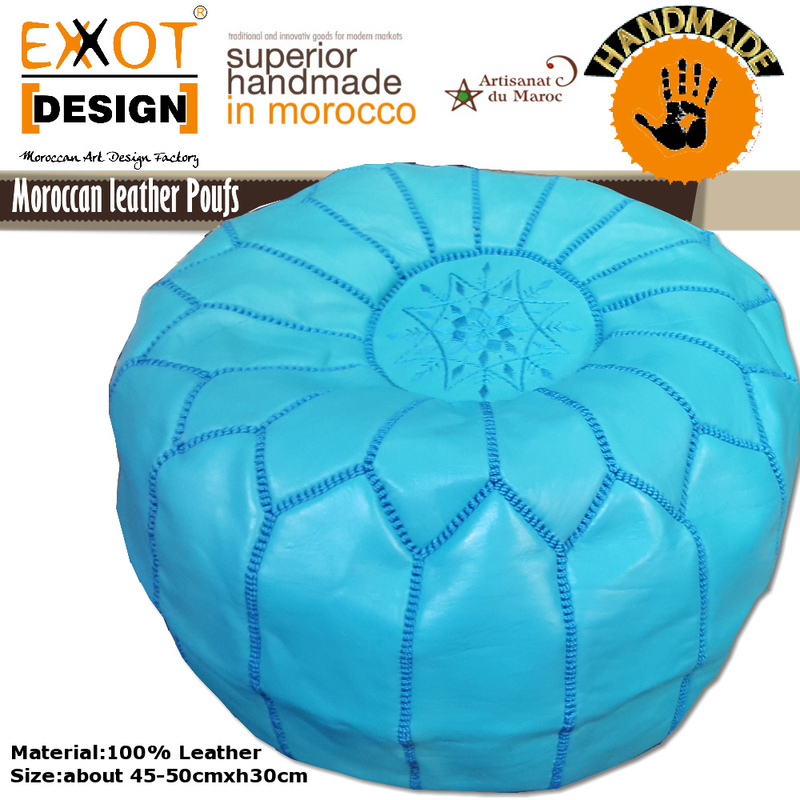 A zip on the underside allows for easy filling. 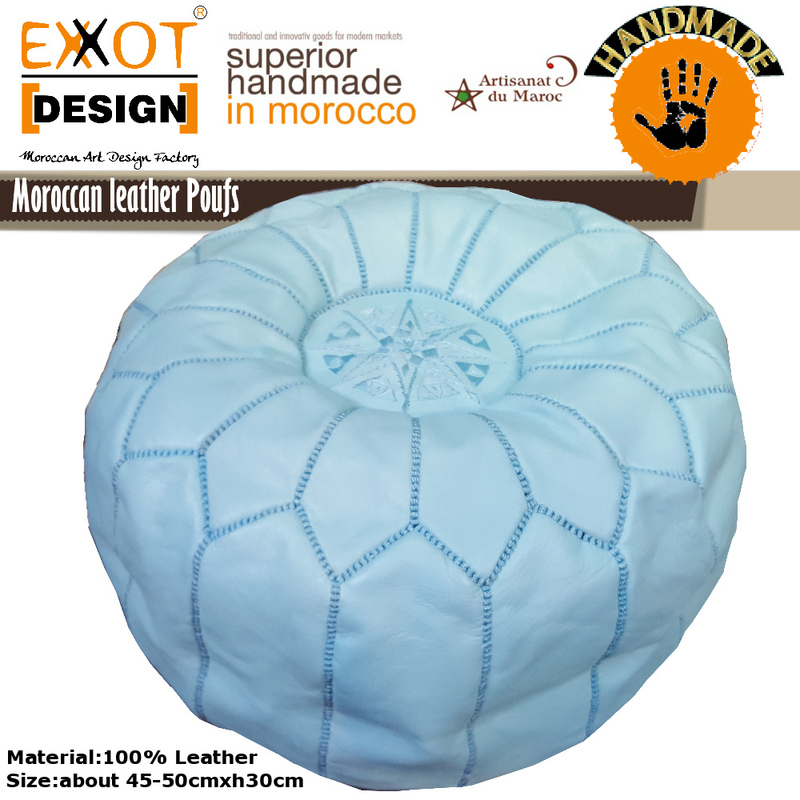 Measurements are for a filled poufs. 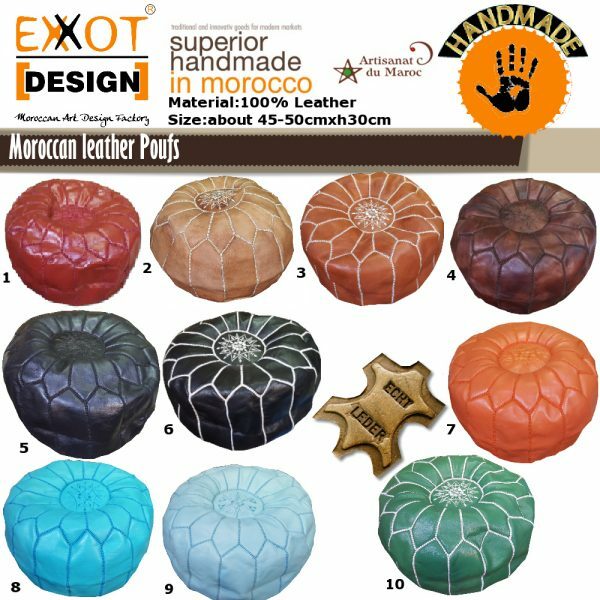 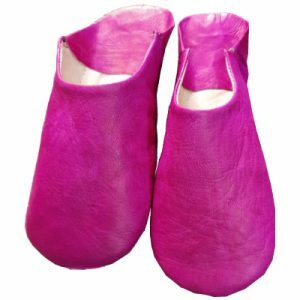 Material: 100% genuine leather with silk stitching. 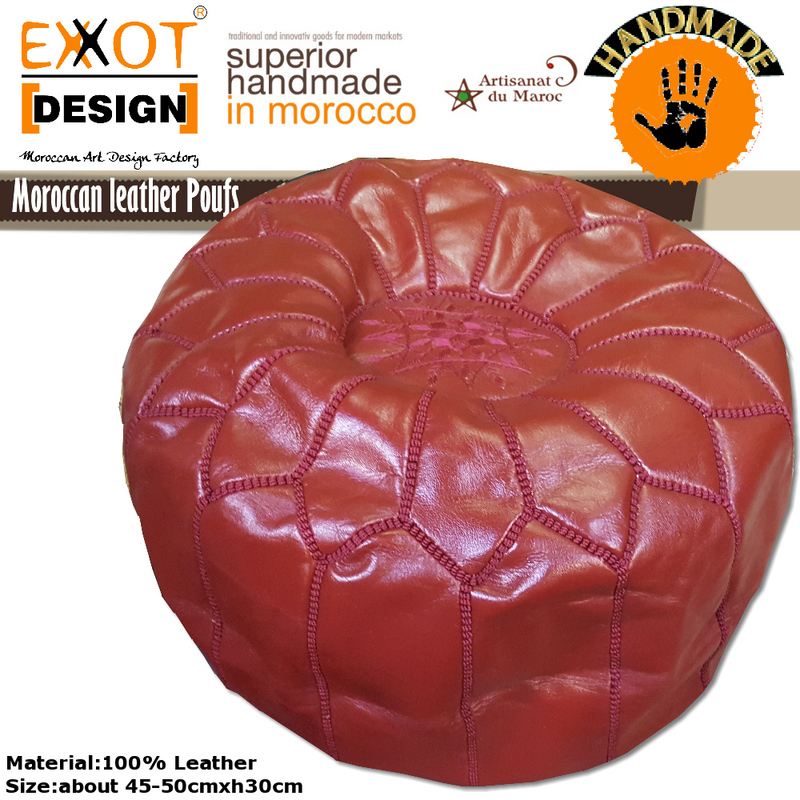 Note: All of our poufs come unfilled. 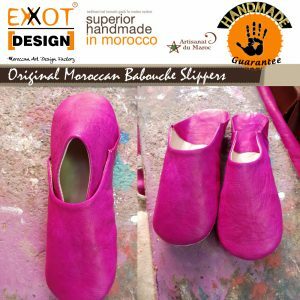 The terms is EX-Works Marrakech – Morocco and the delivery date is about 30 days after receipt 50% deposit and balance T/T payment before shipment.